Founded in 1993 my co-founder and I were both factory trained in instrument repair and service at the major equipment manufacturers Marco, Reliance, Reichert and Topcon. Serving primarily in the southeast for both the small practice and large corporate enterprises, we have always made repairs our primary mission with quick response to get the customer back in business. Whether it be a major item like a chair or stand to a handheld scope, we do our best to get it fixed and back in your office lightning fast. 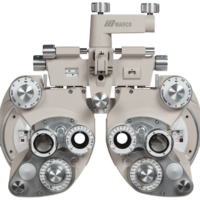 With the addition of our EXCLUSIVE PARTNERSHIP with Marco, a leading manufacturer of ophthalmic instruments and equipment, we can now provide top quality instrumentation and equipment to fit your needs. Let us serve you in any way we can.